Created to give the best possible start to each day, the Euphoria Standard Shower Head from Abode is the perfect blend of European design style. Featuring multi-spray pattern up to four mode, the appealing creation is made from metal and ABS, for enhanced strength. 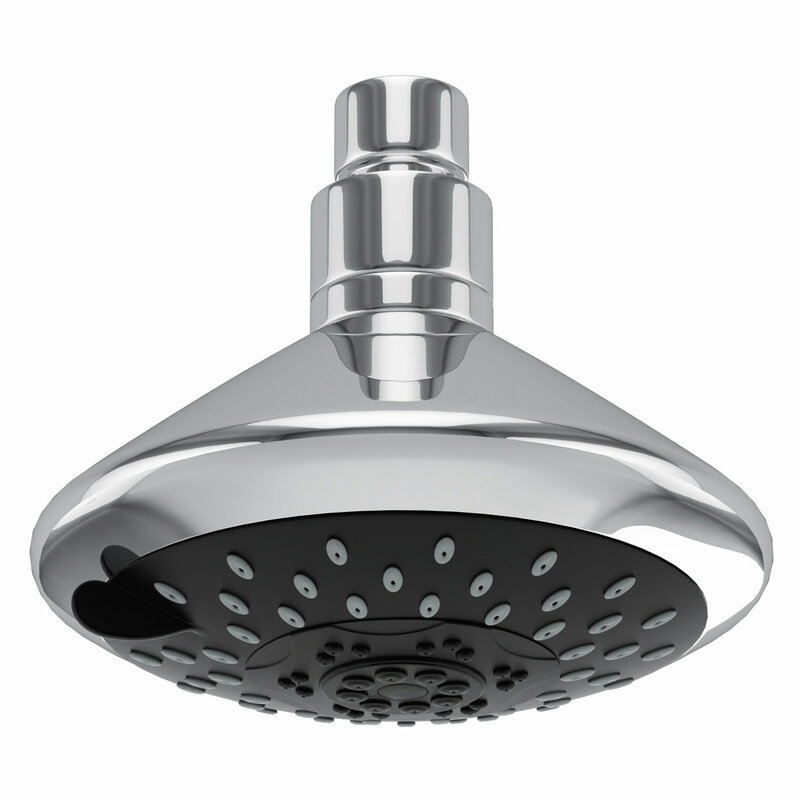 This chrome plated shower beauty included with a rub clean anti-limescale spray nozzles and swivel connector, for maximum flexibility. The WRAS approved product promises to offer immense showering pleasure and satisfaction. After searching the high street for a shower head to replace the old head to no avail, going on the Internet in the comfort of our own home and finding the one needed with 4 mode head in less than ten minutes what a relief. When fitted it proved even better than the original head, and price wise was worth every minute of the search. Excellent product and very satisfied. Shower head fitted perfectly, in fact the shower head is far better than the original head which was smaller. Service was great with no issues at all, delivery was tracked online so we knew within minutes when it was going to be delivered. All in all excellent transaction. We bought this to replace a tin can shower head. This one is fantastic and so easy to fit. 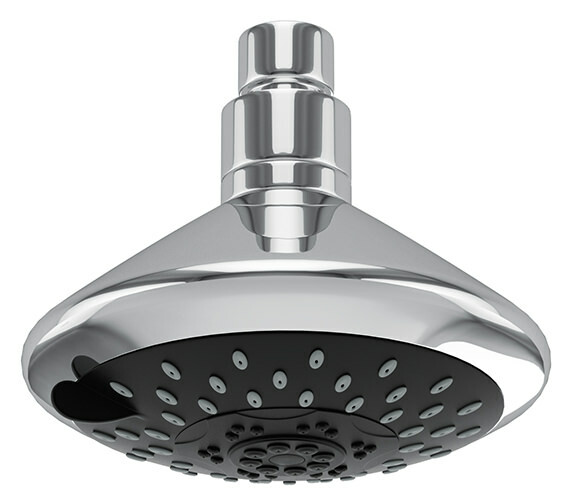 AB2412 showerhead. Does this work on gravity fed system with a 3 bar pressure. 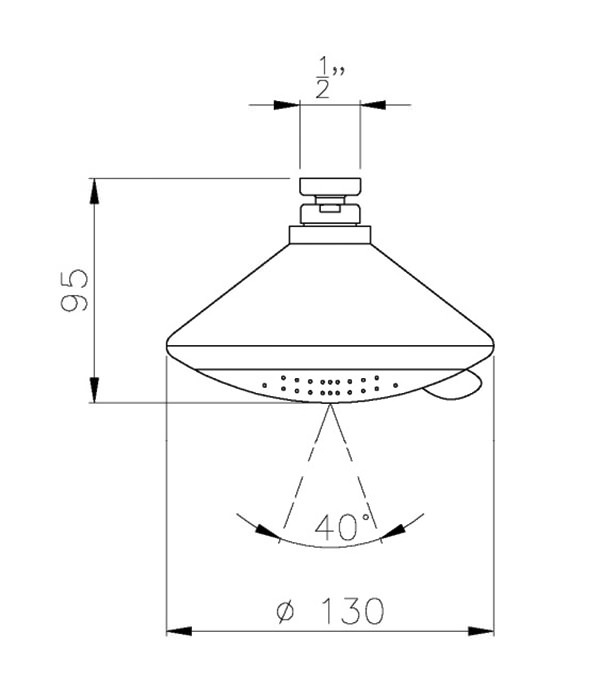 I would need this to replace a swivel shower head on a fixed arm from a Hydramax shower (33/34 mm connector). Would this be compatible? The connection size is 1/2" F, for more details please refer dimensional drawing from above.